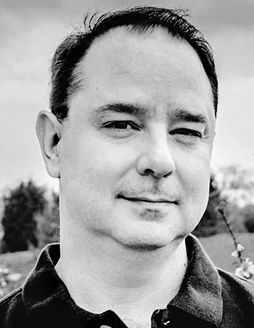 John Scalzi’s latest novel, The Consuming Fire, is the second book in his new series about a human-created intergalactic empire. Below, the acclaimed author and Los Angeles Times critic at large names his six favorite examples of sci-fi worldbuilding. Grass by Sheri S. Tepper (1989). Though less heralded than Dune, Grass is equally complex in its worldbuilding (here done with a feminist bent) and has a civilization-threatening mystery at its core. By imagining a story that unfolds on a planet whose human population is dominated by hunting-obsessed toffs, Tepper takes on patriarchy, aristocracy, alien moral systems, and the problem of being too good to do good. Always Coming Home by Ursula K. Le Guin (1985) This lesser-known but fascinating book by Le Guin imagines a culture of people in a future California and reveals them to the reader not just through story but by describing their rituals, fables, and daily lives. It’s less a novel than a travelogue. Perdido Street Station by China Miéville (2000). This book started the millennium off with a bang and is a prime example of the “new weird” subgenre of fantasy. Miéville’s city of New Crobuzon is filled with shady humans and other strange-yet-intelligent creatures, living in a place that’s a cross between fin de siècle Paris and an H.P. Lovecraft nightmare. A fascinating place to visit. You probably don’t want to live there. Snow Crash by Neal Stephenson (1992). Stephenson’s vision of a fractured and fragmented United States is both hilariously written and depressing in its accurate depiction of increasing polarization. I don’t think Stephenson intended to be a prophet for this crazy age we live in, but he’s got the gig anyway.